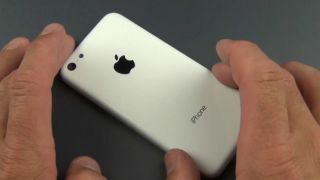 Looks like the real thing, tastes like the real thing, fake plastic iPhone? With the endless stream of supposed cheap iPhone pics that have been fired our way, we wouldn't be surprised if you've already made some sort of flip book of the thing in motion. For those of you with less time on your hands, this should do the trick. The six-minute video by DetroitBORG shows the same plastic shell we've been seeing for some time now. It also puts the case side by side with some previous iPhone models to emphasise its iPod Touch-alike aesthetics. Needless to say, we remain suspicious. While this agrees with the other leaks so far, the internet is also full of trolls. And yes, many of them would go so far as to make a fake iPhone case for the hell of it.